The 28-year-old signed for the Bianconeri on a permanent basis from Bayern Munich last summer following a good debut season with the club on loan. However, he has struggled to produce a similar level of performances with just one goal from 17 league outings and of late, he has missed regular action due to a hamstring injury. 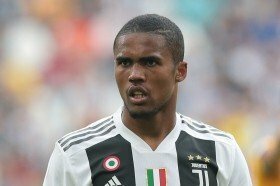 According to Tuttosport, United and Les Parisiens are keeping tabs on the Brazilian attacker, who could be prepared to push for a fresh challenge away from the Turin giants. The publication adds that Spurs could emerge as surprise contenders alongside the duo after going through an entire year without strengthening the first-team squad. Juventus are currently said to value Costa in the £60m range and that could potentially prove a stumbling block for Spurs, who may work on a restricted budget amid their stadium debt.